Urban slum dwellers—especially in emerging-economy countries—are often poor, live in squalor, and suffer unnecessarily from disease, disability, premature death, and reduced life expectancy. Yet living in a city can and should be healthy. 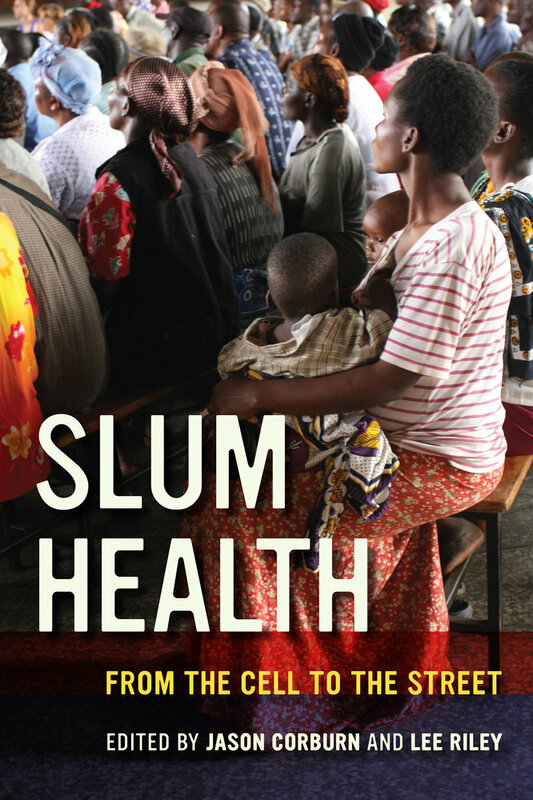 Slum Health exposes how and why slums can be unhealthy; reveals that not all slums are equal in terms of the hazards and health issues faced by residents; and suggests how slum dwellers, scientists, and social movements can come together to make slum life safer, more just, and healthier. 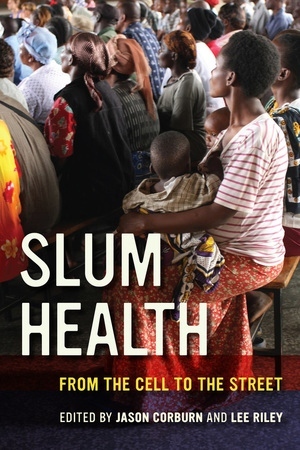 Editors Jason Corburn and Lee Riley argue that valuing both new biologic and “street” science—professional and lay knowledge—is crucial for improving the well-being of the millions of urban poor living in slums. Jason Corburn is Associate Professor at the University of California, Berkeley, jointly appointed in the Department of City and Regional Planning and the School of Public Health, and Director of the Center for Global Healthy Cities. Lee Riley is Professor of Epidemiology and Infectious Diseases and Chair of the Division of Infectious Diseases and Vaccinology at the School of Public Health, University of California, Berkeley.